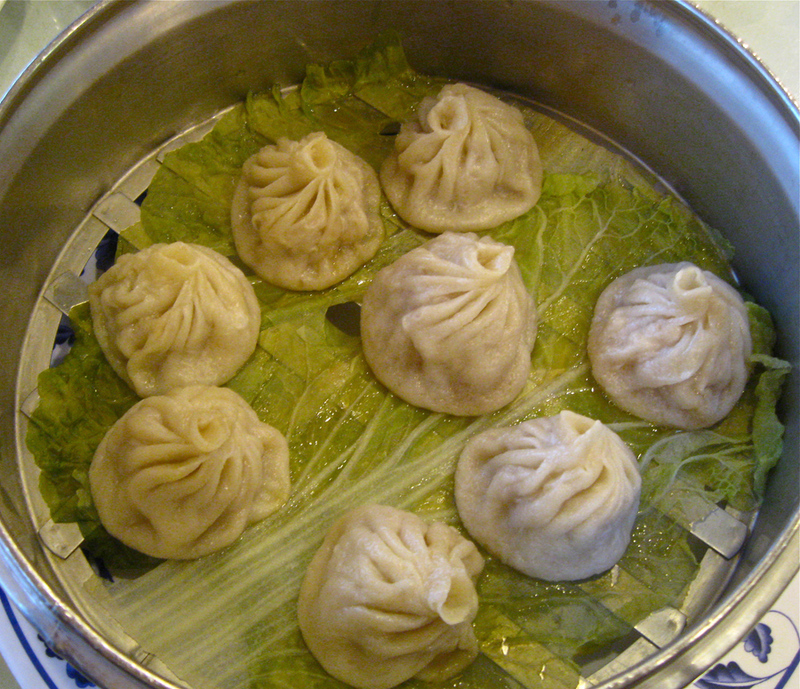 Soup dumplings, or “xiao long bao,” are little parcels of mouth-watering pork and steaming, soupy goodness that delight and entice your taste buds. I first tried them at a hole in the wall spot called Joe’s Shanghai on Pell Street in Chinatown, New York City. My friend Rachel had been turned on to Joe’s by a Chinese friend of hers who claimed that their soup dumplings were the best in the city. It was love at first bite. I recently got fixated on finding these tender pouches of deliciousness in or around Long Beach. I figured with Long Beach having a wonderful variety of inhabitants from all over the world, chances were good of finding soup dumplings somewhere within the city’s boundaries. However after a long internet search, the closest places that I could find are in Artesia—just a quick jaunt up the 605. I first went in pursuit of fulfilling my yearning for soup dumplings at Canaan Restaurant. It’s a simple strip-mall Chinese eatery (there are a whole slew of them in this neck of the woods). My boyfriend ordered hot and sour soup and kung pao shrimp, while I kept my eye on the prize—what they call Shanghai dumplings. I felt like I was awaiting the return of a long lost lover. I could barely contain my joy of only being moments away from being reunited to those delectable bundles of utopic wonderment. They first brought out the hot and sour soup, which is hands down the best version of this dish I’ve ever had. It was a celestial stew of flawless consistency and immaculate ingredients (pork, tofu, mushrooms, scallions, ginger, etc.). I would have been completely satisfied if the mission was to find the crowning achievement of hot and sour (if you are ever out by the Cerritos Mall, it’s worth stopping in for this dish alone). However, I held back on devouring the soup in its entirety, I wanted to be sure there was plenty of room for my beloved dumplings. The kung pao shrimp came out next and was pleasing with its light and savory sauce, bell peppers, water chestnuts and peanuts, though I only took a few bites. My heart skipped a beat as I caught sight of the server carrying the silver steam pan to the table. First appearances left me lackluster. The juiciness factor did not appear to be on par. I delicately scooped up a dumpling and poked it with a chopstick to let the broth escape and fill the spoon, but nothing came out. I felt duped, like I was all dressed up and ready to go on a date with a long-lusted-after companion, whose less-interesting brother showed up instead with a wilted corsage in hand. The flavor was nice, but they wound up being “just okay” dumplings. The absence of broth was such a disappointment, like a cupcake with out frosting. I attempted a second soup dumpling outing at another spot in the same Artesia neighborhood. The steamed pork dumplings at Szechwan Garden received numerous accolades on Yelp but to me, they were even more of a let down. The pork had a strange sweetness to it and any trace of broth escaped when the dough casing tore as I tried to unstick the little critters from the silver steam dish. The dan dan noodles (chili and vinegar laced noodles topped with crumbled pork, scallions and cucumber) were all right, but nothing worth arranging another rendezvous over. So, I am putting the call out to Long Beach Post readers: Do you know of any sopping, luscious xiao long bao nestled in steam baskets hiding in the midst of our fair city? 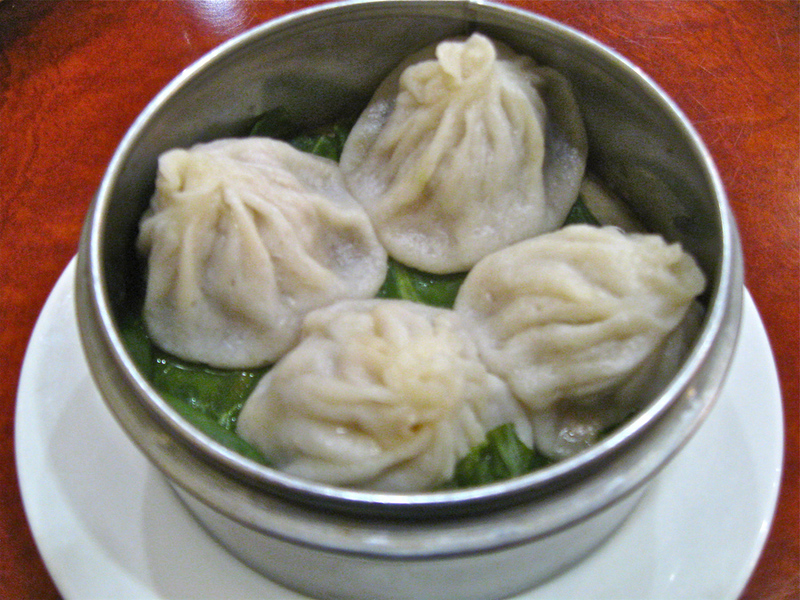 Or do I have to drive all the way to L.A., or take a plane back to NYC to obtain my so desired soup dumpling reunion?